Have you ever struggled to bend your metal in a perfect circle while trying to make a ring? There are many ways to bend sterling silver or gold stock. However, there is one tool that will save you time and frustration. What is it? Drumroll please………..It’s the Ring Bending Pliers. This tool is in my opinion the best tool for fabricating rings. a link to the pliers and a link to a good Ring Sizing Chart. Previous post: The tool you are missing. 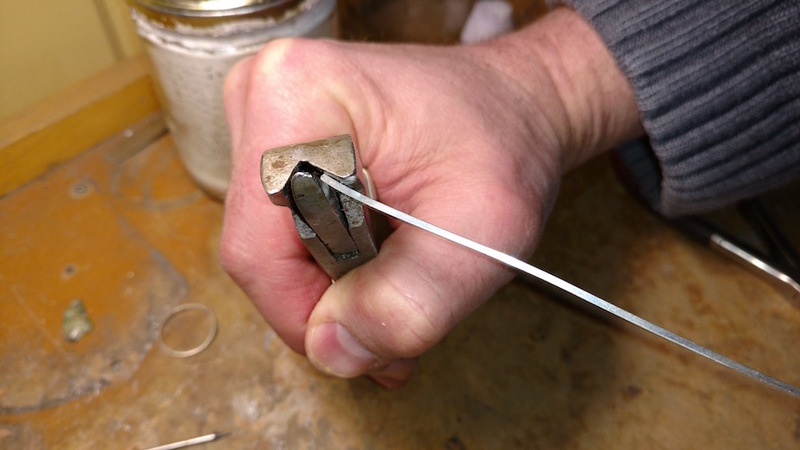 How to use ring bending pliers. You will thank me! Next post: Lortone tumblers – How to use and mix the solution.